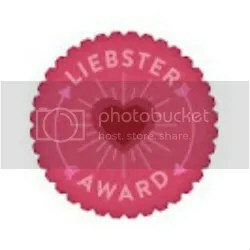 In the past couple of weeks, I’ve been tagged with two blogging awards: the Liebster and the Reality Blogging award. I’m going to do the Liebster today and the Reality award next week because some of the people I want to tag for the Reality award just got tagged for a Liebster and I don’t want to overwhelm anyone. Alyssa from Yes, That Too tagged me for the Liebster. 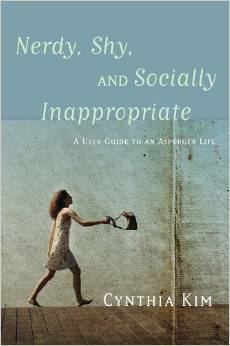 She writes smart, insightful and sometimes angry things about autism and being autistic and advocacy. Sometimes she writes Chinese language posts that I can’t read but like to look at nonetheless. Go see what she’s up to, if you haven’t already. 1. Give 11 random facts about me. 2. Answer the 11 questions that Yes, That Too gave me. 3. Make 11 new questions for the people I tag to answer. 4. 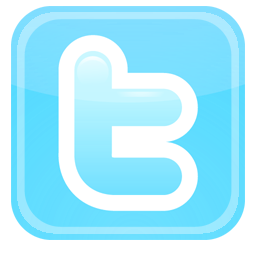 Tag 11 blogs that are new or have less than 200 followers. I’m allergic to dogs but I have one anyhow. I love roller coasters. When I was a kid and there was a school trip to an amusement park, I used to spend all day going on the roller coasters. I have a 5th degree black belt in taekwondo. When I was in third grade, I was the kid whose two strides most closely measured a yard so I got to go outside and walk around the building to measure its circumference. I think there was a math lesson involved but all I remember is being absurdly proud of my prowess as a human yardstick. I love the smell of fire. I’m not afraid to edit the Windows registry on my computer. I like to climb trees but I’m afraid of heights. Right now, I’ll only write with a Pilot G-2 pen. I have a box each of blue, black and red. I eschew the Oxford comma. I can comfortably swim a mile without stopping. Why did you start blogging? To try to understand autism and specifically my autistic experience better. Blogging is taking me to all sorts of unexpected places. What is the most frustrating song you have ever had stuck in your head? The Oscar Meyer Weiner song. It happens a lot when I run, because it’s the perfect running rhythm for me. Also, I once spent an entire 6-mile run with Bruno Mars’ “Lazy Song” playing in my head on repeat. That was torture and made no sense. Do you have a useless talent? (If so, what?) I can break boards with my hands and feet. What is something that happened to you where people responded with “Only you could…” I broke my nose falling into a trash can. It sounds like something that would happen to a sitcom character but it required internal and external stitches to fix so it sounds funnier than it was. Have you read Loud Hands yet? (And if you haven’t, WHY NOT?) It’s on my list of books to buy and read! I’m currently reading Ask and Tell, which is excellent. I’m going to add it to my blog’s resource page when I finish it. The I’m going to get a copy of Loud Hands. Do you take things literally? Yes, all the time and it can be frustrating and embarrassing. What is the most hilarious rumor that has been spread about you (that you know of and are willing to share?) I don’t think I’m socially well-connected enough to (a) have rumors spread about me and/or (b) know about them. Do you know any other languages? (Which ones? How proficient?) Yes, 4, which is weird because I have no natural aptitude for learning foreign languages. Other than English I learned French all through high school and was able to read novels and watch movies in French back then but I’m not that proficient any more. I took one semester each of Latin and Spanish so I have rudimentary skills in both. I know enough Korean to follow dinner table conversation, order a beer and know if the people on the bus are talking about me. If money were no object, where would you travel? I’d spend a few months traveling across Europe by train. If money were no object (and hence you could hire people/lobby/etc) what change would you try to make in the world? If money were literally no object I would eliminate poverty, though I don’t think that can be done with money alone, so honestly I’m not sure. What hobby or interest would people who don’t know you well be surprised to learn you have? What’s your go-to activity for entertaining out-of-town guests? Which Halloween candy did you eat first and which did you always give/throw away? How far away from your place of birth do you currently live? 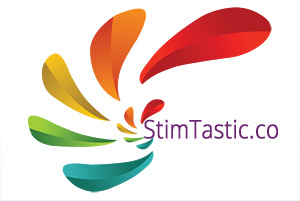 If someone is only going to read one thing on your blog, what would you like it to be? Well, there ya go. Have fun with it! Very cool! I love that you tagged Tumblr blogs exclusively and I’ll be watching for their answers because I follow a bunch of the ones you picked. Well, my network is not as strong as yours, so I tried to maximize the likelihood of the post being read 😉 I didn’t want to use the “actuallyautistic” tag that usually brings visits to my posts (along with image searches… *sigh*) because I found it a bit off topic. I noticed that a few people haven’t been posting for a while, though… such a pity – they have great blogs. I didn’t tag mine #actuallyautistic on Tumblr for the same reason. I’m always sad when I find a great blog and it has no recent entries. You’re welcome! I look forward to your random facts, etc. This seems like a fun way to get to know the people behind the words in a bit of a different way. Typing on the treadmill sounds rather useful. Juggling on the treadmill, OTOH, would be a truly useless skill. Thank you! This one looks fun! And I like your entertaining & impressive 11 facts. Thanks:-) I will take a little while to select 11 blogs while avoiding any that has already been nominated here or in other recent awards. Love your anonymized yet revealing answers. 🙂 And I’m relieved to see that you love doing memes because not everyone does so tagging people for this felt a bit like a social minefield. How long does it take to get there? My brother and cousin both quit after getting their 1st dan, lack of motivation was cited as the main factor. It took me a little over 15 years of 4-5 days a week training. I loved it and only quit because I wrecked my knee. Thank you! I like this one much better. It feels cleaner and easier on the eyes. thanks for this. I have been mulling the questions, sounds fun. I do feel compelled to convince myself to create some real content for my blog before i allow myself to have fun….